MASwings Sdn Bhd chief executive officer Aminuddin Zakaria (third from left) and Domino’s Pizza Malaysia and Singapore senior vice president of Marketing Linda Hassan (right) at the signing of Memorandum of Understanding at MASwings administrative building in Kota Kinabalu. - NSTP/EDMUND SAMUNTING. 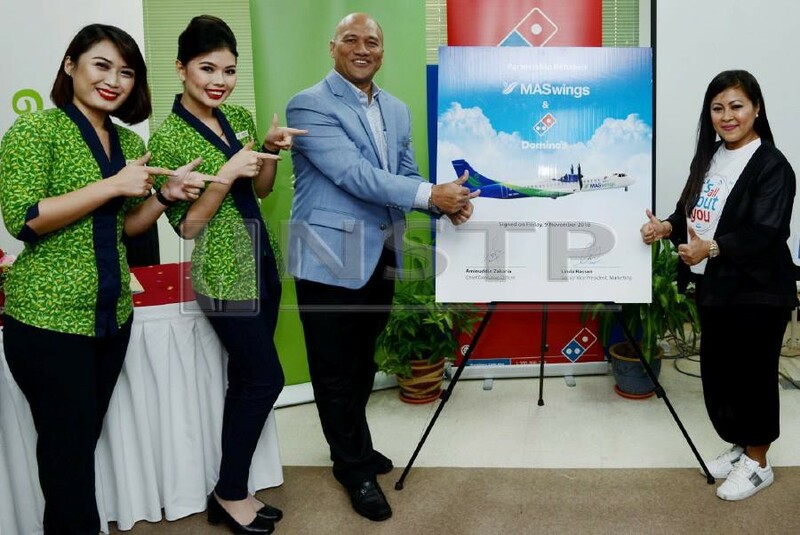 KOTA KINABALU: Passengers flying to Sandakan and Lahad Datu via MASwings regional airline from here will have the opportunity to enjoy pizzas while travelling to their destinations.